External risk environments. External risks such as market, geo-political, societal, competitive, industry, and technological forces are constantly shifting in nature, impact, frequency, scope, and velocity. Internal business environments. Within, the organization has to stay on top of changing business environments that introduce a range of operational risks such as employees, 3rd party relationships, mergers & acquisitions, processes, strategy, and technology. Regulatory environments. Regulatory environments governing organizations are a constant shifting sea of requirements at local, regional, and international levels. The turbulence of thousands of changing laws, regulations, enforcement actions, administrative decisions, rule making and more has organizations struggling to stay afloat. Managing change across risk, business, and regulatory environments is challenging. Each of these vortexes of change is hard to monitor and manage individually, let alone how they impact each other and the organization. Change in risks bear down on the organization, regulator oversight and requirements increase, and all of this has a direct impact on the organization’s internal processes, people, and technology. As internal processes, systems, and employees change this impacts compliance and risk posture. Change is an intricate machine of chaotic gears and movements that make the aspects of GRC challenging in organizations. Keeping current with change and keeping the organization aligned is the most significant challenge in a GRC strategy. Insufficient headcount and subject matter expertise. Change related to GRC areas has tripled in the past five years. The effort to identify all of the applicable regulatory, risk, and organization changes is time consuming, and organizations are understaffed. Most have not added FTEs or changed their processes despite the continued increase in change. Frequency of change and number of information sources overwhelms. The frequency of GRC information sources and updates is challenging to sort through and find what is relevant and significant to the organization. Organizations often subscribe to and utilize multiple sources of GRC intelligence that take time to go through and process to identify what is relevant. Limited workflow and task management. Organizations rely on manual processes dependent on documents, spreadsheets and emails that lack accountability and follow-through. It’s not possible to verify who reviewed a change, what actions need to be taken, or if the task was transferred to someone else. This environment produces a lack of visibility to ongoing GRC management—the organization has no idea of who is reviewing what and suffers with an inability to track what actions were taken, let alone which items are “closed.” GRC documentation is scattered in documents, spreadsheets, and emails in different versions. Lack of an audit trail. The manual and document-centric approach to GRC change lacks defensible audit/accountability trails that regulators and external auditors require. This leads to regulator and auditor issues who find there is no accountability and integrity in GRC records in who reviewed what change and what action was decided upon. The lack of an audit trail is prone to deception, individuals can fabricate or mislead about their actions to cover a trail, hide their ignorance, or otherwise get themselves out of trouble. Limited reporting. Manual and ad hoc GRC change processes do not deliver intelligence. Analyzing and reporting across hundreds to thousands of scattered documents takes time and is prone to error. This approach lacks overall information architecture and thus has no ability to report on the number of changes, who is responsible for reviewing them, the status of business impact analysis, and courses of action. Trying to make sense of data collected in manual processes and thousands of documents and emails is a nightmare. Wasted resources and spending. Silos of ad hoc GRC change monitoring lead to wasted resources and hidden costs. Instead of determining how resources can be leveraged to efficiently and effectively manage change, the different parts of the organization go in different directions with no system of accountability and transparency. The organization ends up with inefficient, ineffective and unmanageable processes and resources, unable to respond to change. The added cost and complexity of maintaining multiple processes and systems that are insufficient to produce consistent results wastes time and resources, and creates excessive and unnecessary burdens across the organization. Misaligned organization and GRC agility. GRC change without a common process supported by an information architecture that facilitates collaboration and accountability lacks agility. Change is frequent in organizations and coming from all directions. When information is trapped in scattered documents and emails, the organization is crippled. It lacks a full perspective of change and business intelligence. The organization is spinning so many GRC plates it struggles with inefficiency. The organization cannot adequately prioritize and tackle the most important and relevant issues to make informed decisions. No accountability and structure. Ultimately, this means there is no accountability for GRC change that is strategically coordinated and the process fails to be agile, effective, and efficient in use of resources. 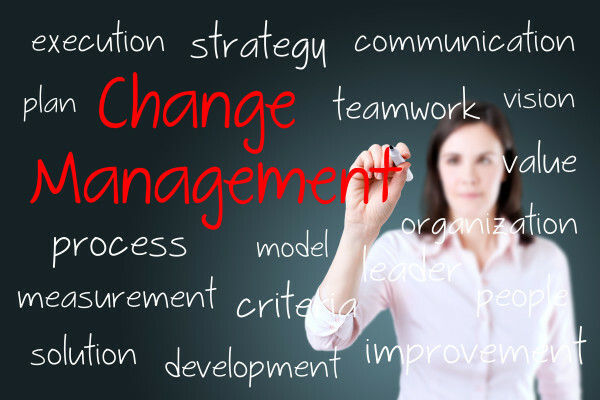 Accountability is critical in a change process — organizations need to know who the subject-matter experts (SMEs) are, what has changed, who change is assigned to, what the priorities are, what the risks are, what needs to been done, whether it is overdue, and the results of the change analysis. Mature GRC requires an understanding of the business – its strategy, organizational structure, processes, risks, obligations, commitments, and objectives. The goal of GRC is to enable the organization to govern the organization and manage risk and compliance in the context of business. Achieving GRC maturity requires a GRC architecture that leverages an understanding of the organization and how it operates. GRC architecture is a process by which the organization has a structured understanding of the organization’s business, capabilities, processes and business context, and use it as a foundation to ensure that GRC processes are executable, repeatable, cost effective and in line with risk appetite. In doing so, the organization has the means to assess the efficiency of their programs and align them with the organization’s strategy. The mature GRC program will define and understand GRC as a process to translate business vision and strategy into effective enterprise-wide GRC oversight and alignment.